Hi, it’s Britni again from Play Party Pin, and I’m so excited to be sharing a simple and creative way to display cupcakes or treats at your next party, a DIY cupcake display. I am a huge hoarder of cake stands and pretty plates but using a simple cake stand or plate to display cupcakes on a party table can get really boring after a while. 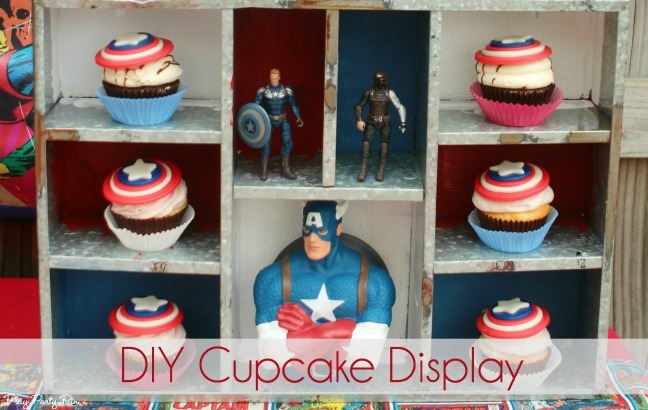 One of my new favorite things to do is to display them in a creative way that matches the theme of the party, like in this metal cupcake display box I created for my Captain America party last week. 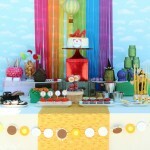 It’s also a great way to add some height to a dessert table and to fill up space if you don’t have that much to put on the table. And it’s so simple, seriously took me about as long as it would have taken to hand wash those cake stands I use regularly. 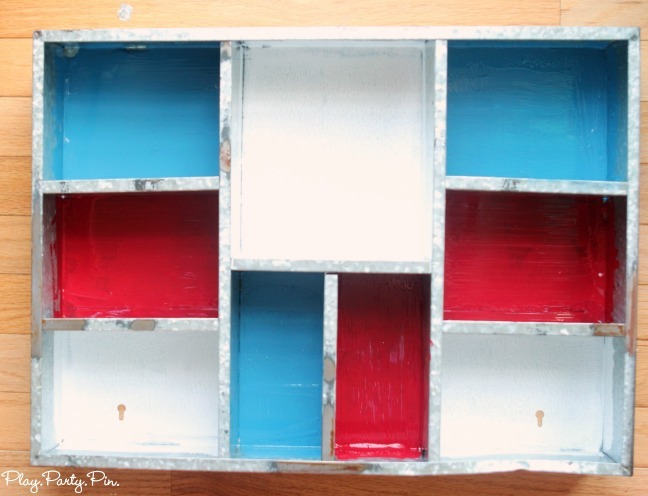 All you need is some sort of container or box that has different levels and paint. I used this metal container I picked up at a craft store, but you could easily use anything that has places to put your cupcakes. The more creative the better. 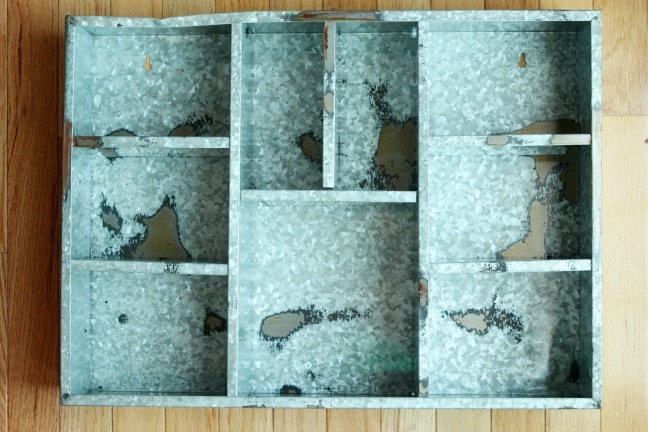 Here’s my container before it was painted, not quite as fun right? Once you’ve figured out your container and colors, place the container on a painting cloth, plastic throwaway tablecloth, or something else that can get paint on it. And wear some clothes that you can get paint on, because believe me you will. 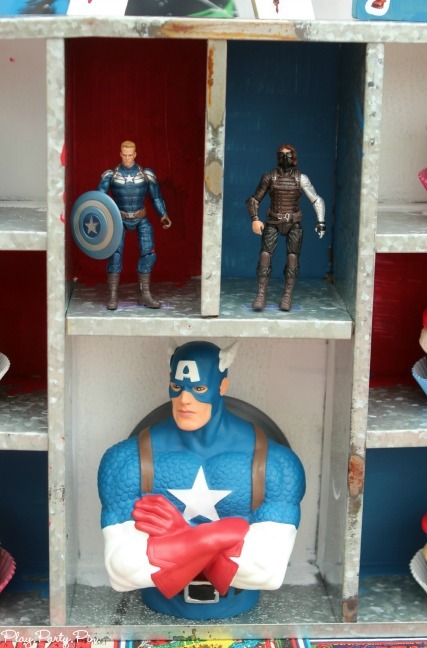 Then just start painting the inside of the container, one color at a time. Once you’re done painting, let it dry flat until the paint is completely dry. 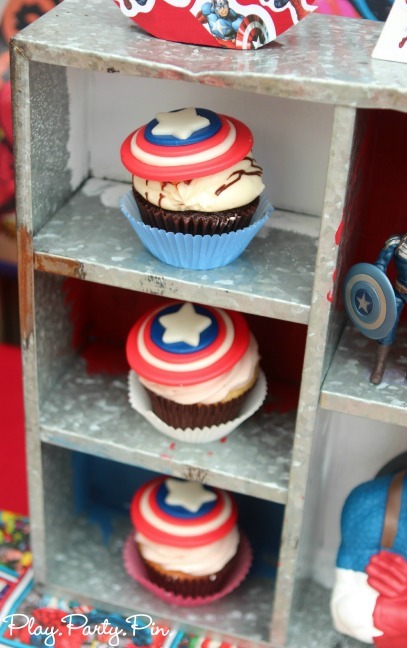 Then fill with cupcakes and other goodies that match your party theme, like the action figures I used in mine. And you’re done. So easy, but it looks so much better than some cupcakes on a plate. 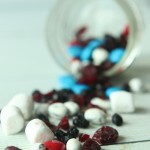 Come check out all of the other fun details from my Captain America party including the kids’ favorite All-American trail mix. And if Captain America isn’t your thing but you still like movies, my Wizard of Oz welcome home party is one of my all-time favorites. Hands of Time – giveaway! Silhouette Promotion – Fabric!! and GIVEAWAY!